2019 Dates: July 1st, July 15th, September 23rd, October 7th, October 21st, November 4th. 2020 Dates: January 13rd, February 10th, April 6th, June 29th, July 13th, October 5th, October19th, November 2nd. • Mentioned dates are Day 1 on the Itinerary and one day before cruise departure. Seasonal Specials (From July 1st to August 31st and December 1st to 15th): $6,257 per person double occupancy. Low Season (From September 1st to November 30th): $6,737 per person double occupancy. High Season (From January 1st to June 30th): $7,047 per person double occupancy. 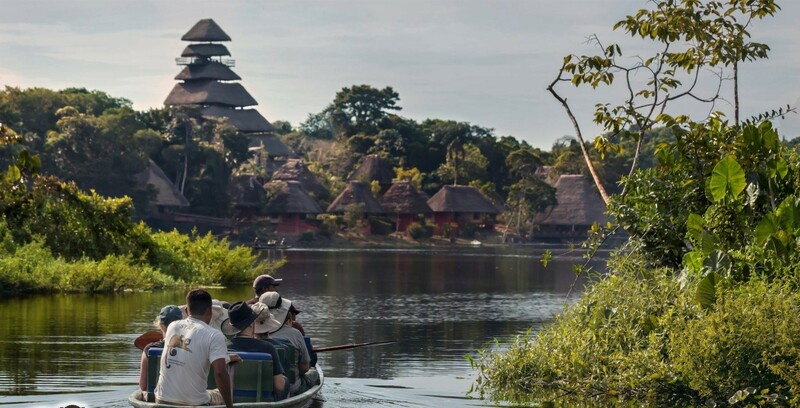 Single Supplement: $914 (only for Quito and Napo Wildlife Center) – NOTE: There’s no single supplement for the cruise! TIPS for the cruise crew and guide (About $450 p/person). Arrival. Reception at the airport and private transfer to your hotel. 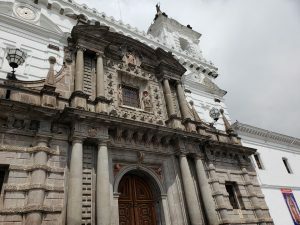 Later you’ll enjoy a private city tour to explore picturesque Old Town Quito, a World Heritage Site with plazas, churches and monasteries from the early colonial times. You’ll walk along quaint cobbled streets and visit Plaza de la Independencia (Independence Square) or Plaza Grande, with its Presidential Palace, Archbishop’s Palace, the Cathedral, Municipal Palace and nearby you’ll visit La Compañía, a Jesuit church overflowing with Baroque art and gold. 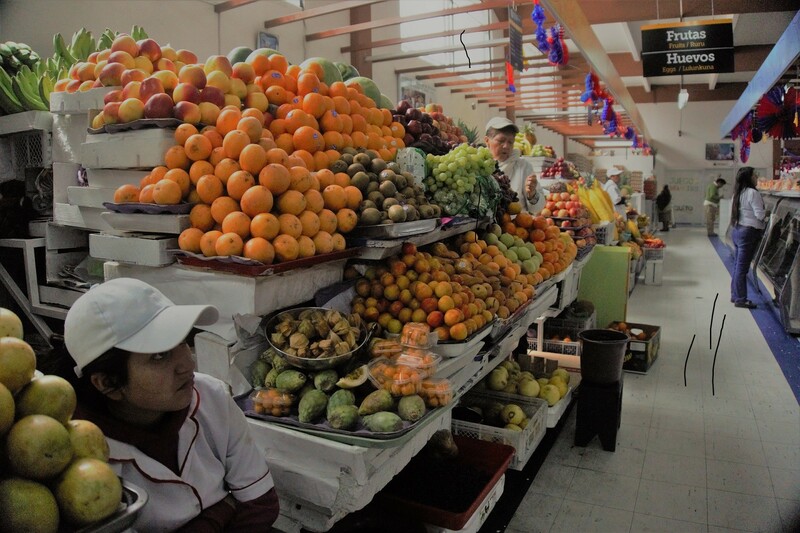 You’ll also stop at Plaza de San Francisco and its church that have been a center of activity since pre-Incan times when the square was the Tianguez (main marketplace). There you’ll visit the church’s museum which houses four thousand pieces including sculptures and oil paintings from the Escuela Quiteña. After enjoying a snack at Café Tianguez you’ll walk to “La Ronda”, one of the first streets of the city known for the artisans’ workshops and restaurants. After La Ronda, you will visit one of the most popular viewpoints of Quito: El Panecillo Hill. It is topped by a 41m tall aluminum mosaic statue of La Virgen de Quito that features a crown of stars, angelic wings and a chained dragon. From the top you’ll be able to enjoy marvelous views of the sprawling city of Quito and the surrounding volcanoes in the distance. Lodging at Boutique Hotel Mama Cuchara or Hotel Patio Andaluz for one night. Today’s adventure at the Napo Wildlife Center begins early in the morning. 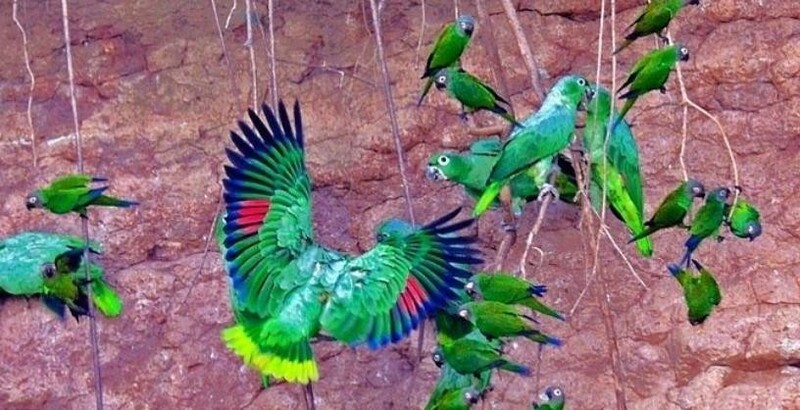 During this second day of the premium Amazon jungle tour you will witness one of the most incredible natural spectacles you will ever see: the parrot clay licks. It takes about an hour to get to the first parrot clay lick. The birds will begin to alight as you arrive between 7:30 to 8:30am. 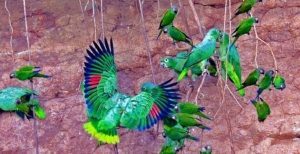 It is a true spectacle of colors as about 11 species of bird, including parrots, macaws and parakeets visit the clay licks every day to feed on the minerals-rich soil. A delicious breakfast will be served at the NWC restaurant early in the morning. After that you will depart to the Canopy Observation Tower, a high platform from which you will get a close-up view of the most amazing sights of the jungle. 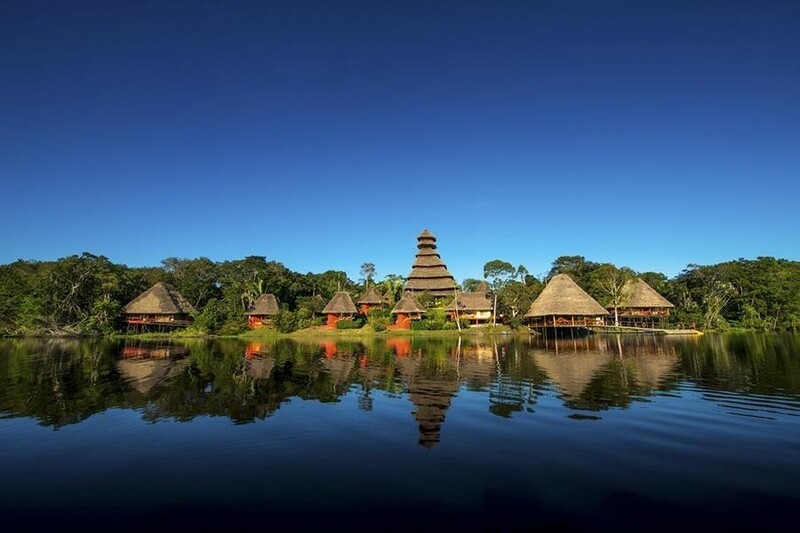 The 12-floor tower, built next to a huge Ceiba tree, is about 30 minutes from the lodge within the terra firme forest. There are not enough words to describe it; you will have to see it yourself! Birds that are virtually impossible to see from the jungle floor will pass right beside you. 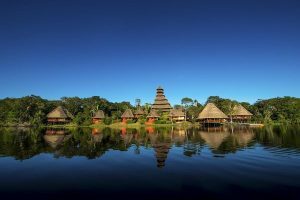 Flocks of vibrantly colored tanagers, blue and yellow macaws, and large toucans fly past in the early mornings. AM: Private transfer to the airport and morning flight to BALTRA. 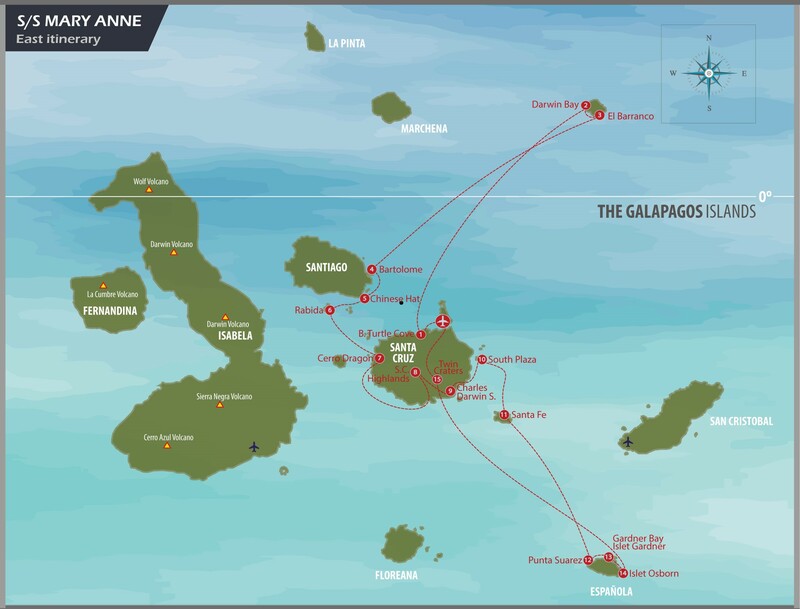 PM: After arriving at Baltra airport we will be greeted by an Angermeyer Cruises representative to then board the S/S Mary Anne and have lunch. 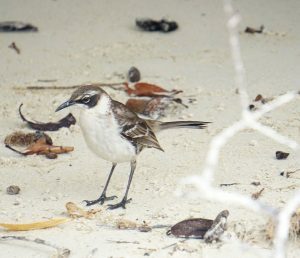 AM: You’ll travel to Genovesa Island and reach Darwin Bay (wet landing), a unique site lined with red mangroves and soft‐haired prickly pear cacti where red‐footed boobies and great frigatebirds perch tamely. AM: Dry landing at Bartolome to climb up the wooden steps and reach the summit of this spatter cone for a most breath-taking panorama of the island’s well photographed Pinnacle Rock and views of neighbouring Santiago and many other central islands in the distance. Afterward, you will visit the white sand beach used as a nest site by sea turtles. 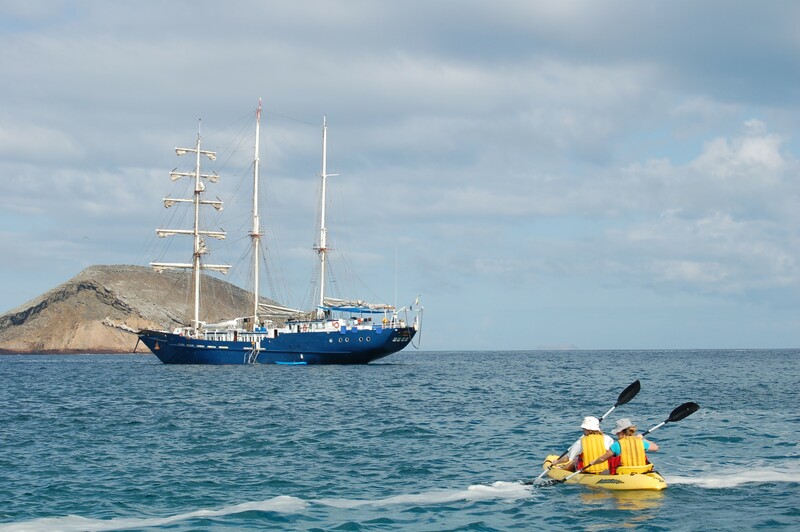 Bartolome is also a good place to spot the Galapagos penguin. AM: Wet landing onto Rabida’s deep‐red beaches to explore the red island’s fascinating interior and saltwater lagoon. Darwin’s finches, Galapagos mockingbirds and yellow warblers feed off the vegetation. Given the right time of the year you may see brown pelicans nesting on salt bushes that fringe the beach. 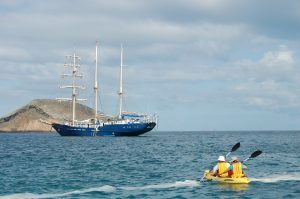 AM: You will spend this day visiting Santa Cruz Island´s most famous highlights. We will have a dry landing at the dock of Puerto Ayora to then board our transportation and head to the island’s highlands. This area, in contrast to the coastal region, has lush vegetation and forest due to the humidity in the higher regions. You will visit one of the ranches of the area where it is possible to see giant tortoises in their natural habitat. 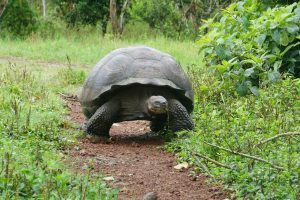 As these animals migrate from the coastal area to the highlands andback, the chosen ranch will depend on the presence of the tortoises since they roam free and change locations. 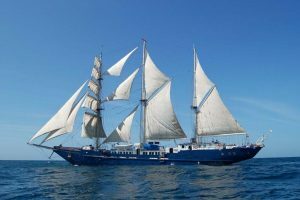 This is also a good place to see the Galapagos hawk and barn owl of this island and the surrounding forests are filled of birds such as the vermilion flycatcher or the yellow warbler. AM: Dry landing on one of the oldest docks of the archipelago, colorful Plaza Sur is home to vibrant green prickly pears, deep red Sesuvium and coppery-orange land iguanas. Impressive seaward cliffs are excellent for a variety of coastal birds. This is also a great place to observe the adult and pup sea lions swimming along the shores. 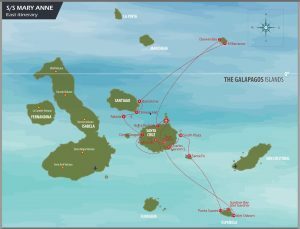 AM: In the morning you will head to Suarez Point, one of the most popular landing sites in Galapagos. The highlights include: sea lions near the landing place, sometimes to be seen body‐surfing in the large breakers; large marine iguanas, with red‐coloured males in the breeding season; oystercatchers; bluefooted and Nazca boobies; Galapagos hawk; Galapagos dove; swallow‐tailed gull; red billed tropicbirds in flight; and three species endemic to Española – waved albatross (present only from April to December), Española mockingbird, and Española lava lizard. The trail is about 4 km (2 miles) long and the walk takes about 2 hours. It ends in “El Soplador”, a blowhole that sprays water some 25m (75 feet) into the air. 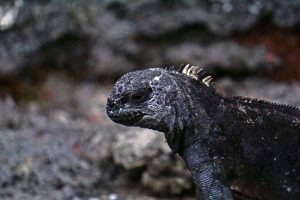 PM: You will spend the day in fantastic Española, starting with Gardner Bay (wet landing), an outstanding beach with sea lions, marine iguanas, and the intrepid Española mockingbird. Close to Española there is a good spot for snorkeling called Gardner Islet. While snorkeling, there is a good chance playful sea lions will join you. Get ready for more snorkeling at Osborn islet, a great place to observe great quantities of marine life. AM: This is your last day in the islands. After breakfast we will disembark in Puerto Ayora to take you transport to the Baltra airport, making a short stop to visit the Twin Craters. The Gemelos (twins) are two deep craters located to the side of the road that leads to Puerto Ayora from the other side of the island. These huge holes were probablycreated in a volcanic explosion or by magma chambers underneath the island´s surface. This is also a good place to see the Galapagos hawk and barn owl of this island and the surrounding forests are filled of birds such as the vermilion flycatcher or the yellow warbler. Something worth mentioning is the contrast of the vegetation of the highlands with the arid coastal zones. 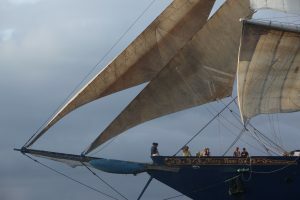 NOTE: During the cruise, in addition to the land visits there will be a good balance of other activities such as snorkeling, panga rides and kayaking. – Snorkel gear (mask, snorkel and fins). 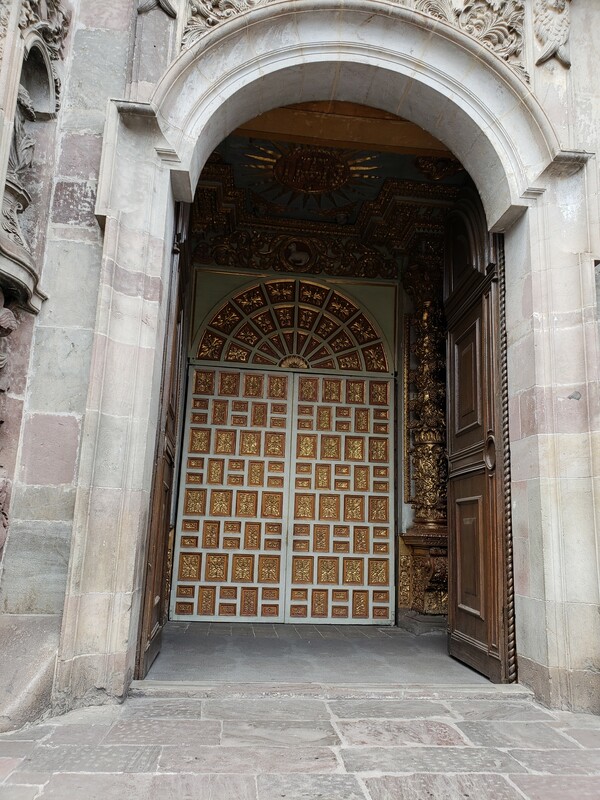 – Private transfers and excursion in Quito. Group Land and boat transportation and transfers in Galapagos and Amazon rainforest. – Galapagos National Park entrance fee. Galapagos Transit Control Card. – Alcoholic drinks and bottled beverages, and other meals or services not mentioned in the itinerary description.